Teacher education students at OBU hosted an interactive social studies museum for local fifth-grade students Friday, March 29, on OBU’s campus in Shawnee. 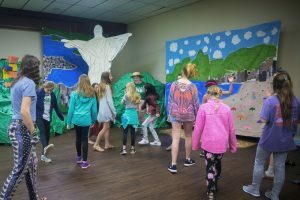 This semester’s theme was titled, “Undercover Mission Around the World: A Culture Study of Brazil, Jordan, Thailand and Italy.” The fifth-grade class from Grove Elementary School in Shawnee attended the interactive museum. OBU photo by Heather Hamilton. The students were asked to become junior undercover agents to help solve a mystery. In the scenario, four amazing stolen artifacts had been recovered, but the CIA did not know to which country they belonged. The students were commissioned to go to the four countries and interact as a tourist while also figuring out where the stolen artifacts belonged. This was the 40th biannual interactive children’s museum held at OBU. 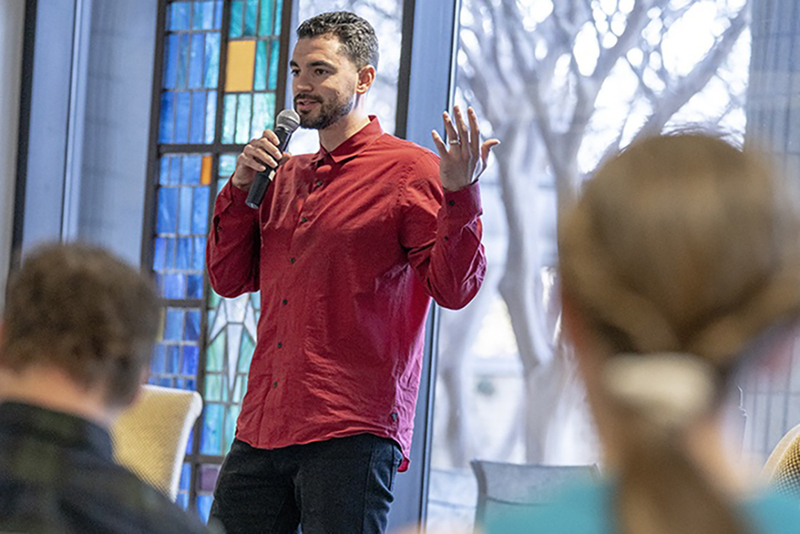 During this event, students learn through activities and lessons created by teacher education majors who are students in the social studies methods course. The course is taught by Dr. Jeanne Akin, Mary A. White Professor of Education, who challenges her students to create interactive and engaging displays by only using materials available to the average educator. Her classes create a similar museum each year in both the fall and spring semesters. Akin recognizes the impact this activity has on future educators in her social studies class. The students involved in creating this edition of the interactive museum were Bethany Barham, Katherine Cole, Sabrina Gay, Alicia Mathis, Alyssa Mendoza, Summer Nack, Vanessa Parra, Emilie Rohr, Abby Rogers, Emily Sechrist and Abigail Welch.